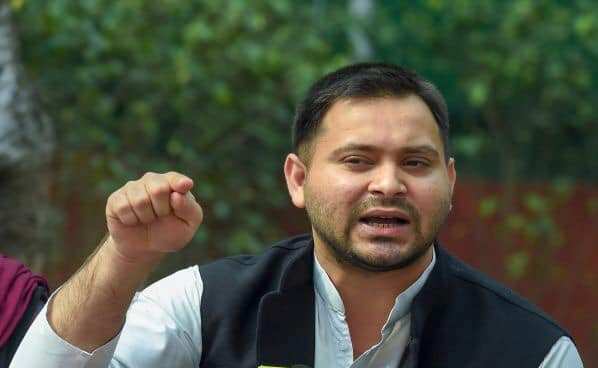 PATNA: The main opposition Rashtriya Janata Dal (RJD) on Monday promised for introducing reservations in higher judiciary as well as the private sector if coming to power. The party made these commitments in its poll manifesto which was released by party leader Tejahswi Yadav in the absence of his father and party chief Lalu Prasad who is in jail now. “My party is committed to introducing reservations in the private sector and the judiciary besides setting up of a national judicial commission which would be entrusted with appointment of judges in the higher courts, doing away with the current system of collegiums,” Tejahswi said, releasing the poll manifesto. He also announced to ensure extended quotas to SCs, STs, OBCs and EBCs in proportion to their population adding his party would press for a comprehensive caste-based census in 2020-21. He questioned the 10 percent reservation granted to the upper castes saying the facility had been given to the “rich among upper castes while his party wants reservation to be given to the economically poor”. “Yah aarakshan Swarn Amiron ke liye hai, ham garib Sawarno ke aarakshan ke pakshdhar hain,” he said.